The last two decades of the Qing witnessed a surge of Western concepts and ideas introduced by Chinese intellectuals who searched for solutions to a failing state. Anarchism, which promised to quickly dismantle the old society and culture, became popular. The ideology’s overt condemnation of authority also resonated with the long tradition of Chinese chivalric narratives that featured chivalric heroes, Robin Hood-like protagonists who roamed the countryside enforcing social justice and helping the weak and poor. Anarchist ideas thus became an important resource for Chinese writers to re-position and reconfigure the image of the “knight-errant” 俠客 and the meaning of “chivalry-ism” 俠義主義 at the start of the twentieth century. This talk draws attention to a series of writings about knights-errant published in the literary journal New-New Fiction 新新小說 (1904) and reveals how Chen Jinghan 陳景韓 (1878-1965), the journal editor and main contributor, established a global context for his writings through selecting and translating knight-errant stories that originated in different countries. Chen’s short story, “Biography of Dao Yusheng,” by identifying a bandit as chivalric hero, on one hand, explores new themes and materials and on the other, experiments with genres, linguistic registers, and narrative approaches. I argue that by incorporating anarchism in his conceptualization of the Chinese knight-errantry, Chen was able to challenge the literary tradition and surpass its limits and, more importantly, turn traditional chivalric subgenre into to a vehicle for engagement with the critical issues at stake at that moment in history. 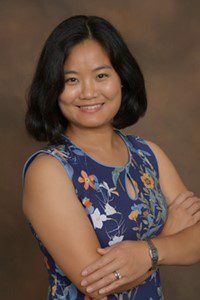 Iris Ma is a post-doctoral fellow of the Institute for Historical Studies in the Department of History at University of Texas at Austin. Her research examines the transformation of China from imperial state to modern society from the perspective of literary and cultural history. Her research interests include Chinese narrative tradition, popular writing and reading in early modern and modern China, print culture, physical culture, women’s and gender history, and Chinese cinema. She is currently working on publications based on her dissertation, “Fairy Tales for Adults: Imagination, Literary Autonomy, and Chinese Martial Arts Fiction, 1895-1945.” She received her Ph.D. from UCLA, M.A. from the National University of Singapore (NUS), and B.A. from Fudan University. This event is sponsored by the CCK Foundation Inter-University Center for Sinology; hosted by the Modern Chinese Culture Seminar at UBC; and co-hosted by the UBC Department of Asian Studies and the UBC Centre for Chinese Research.